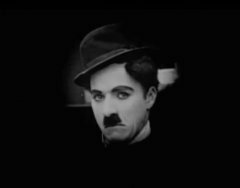 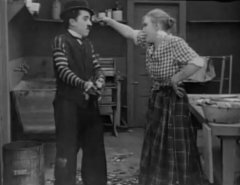 "Triple Trouble" is one of Charlie Chaplin's Essanay short comedies, featuring Edna Purviance, a star of Silent Hall of Fame. Charlie Chaplin in"Triple Trouble" (1918). Edna Purviance does some invigorating floor scrubbing in"Triple Trouble" (1918). 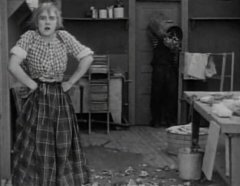 Edna Purviance seethes with anger after Charlie Chaplin drops his garbage all over her in"Triple Trouble" (1918). 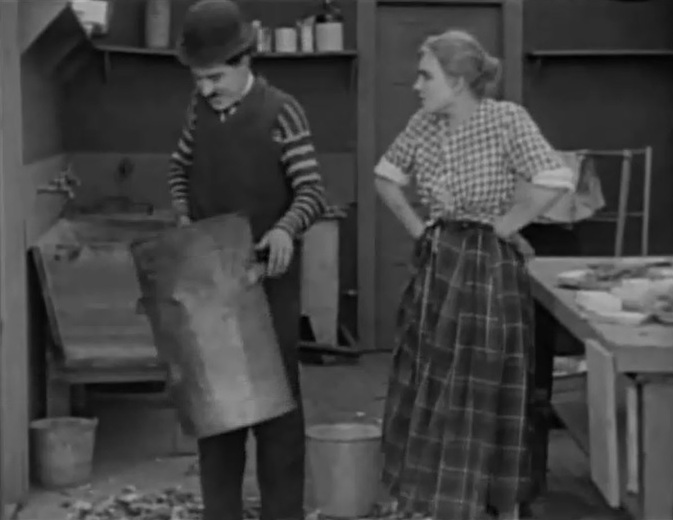 Edna Purviance sizes up Charlie Chaplin in"Triple Trouble" (1918). 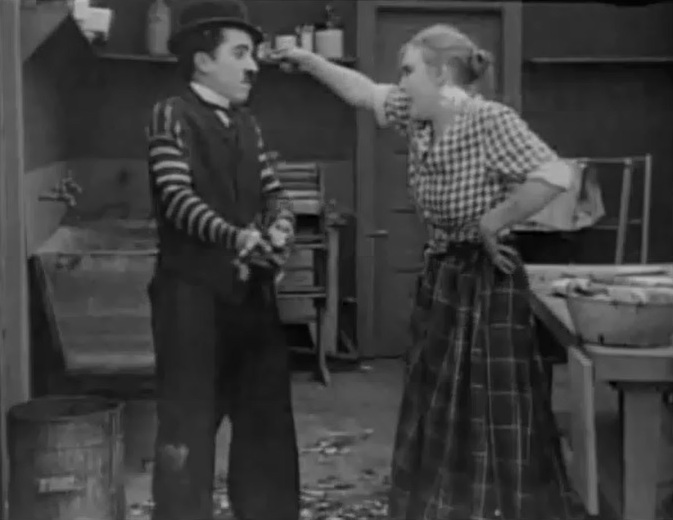 Edna Purviance disciplines Charlie Chaplin in"Triple Trouble" (1918). Edna Purviance prepares a punishment as Charlie Chaplin begs for mercy in"Triple Trouble" (1918). 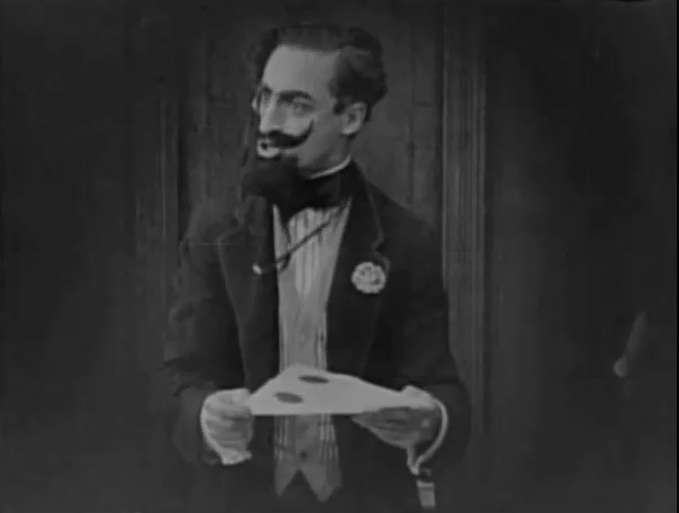 Leo White in"Triple Trouble" (1918). 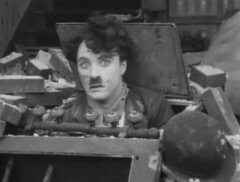 Charlie Chaplin in"Triple Trouble" (1918) #2.